A "Higher Standard of Plumbing Service" means you can expect to receive a higher quality of plumbing service at a competitive price than other plumbing companies provide. 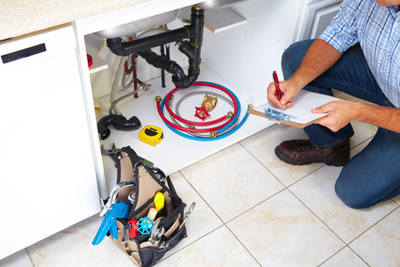 As a family-owned and operated business, we are personally committed to your plumbing need. We treat your home like our home and we stand behind our customer satisfaction guarantees. Give us a try and you'll find out why we are rated a 5 Star Corona plumbing company. Our Specialties Include Water Heaters, Water and Slab Leak Detection & More OneStop Plumbers is a full service plumbing company that specializes in hot water heater installation and water heater repair, water leak detection, slab leaks, leak in ceiling, drain cleaning, water leak reroutes, faucet leak and shower valve repair, to common everyday kitchen, bathroom and water line plumbing service, repair and improvement services. We also make it easy for homeowners to get plumbing prices before scheduling an appointment. Text us a picture and we will text back a price!